In season 2 of Showtime&apos;s "Billions," Damian Lewis&apos; character, Bobby Axelrod (aka Axe), is spotted at his hometown racetrack in Yonkers. The iconic "Empire City" neon sign glows behind the moody hedge fund mogul... Is this real, or just Hollywood magic? Real! For "Billions," authenticity is key. 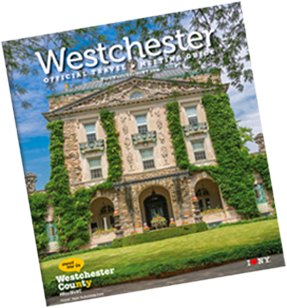 So when "Axe" needed to head home to Yonkers, the producers reached out to film-friendly Empire City Casino (ECC) in Westchester County to shoot the scene. We connected with the ECC team to find out what makes the location such a hot spot for film. According to Taryn Duffy, Director of Public Affairs, "ECC&apos;s film history dates back to 1984, when the "The Flamingo Kid" filmed at the racetrack. Since then, the property&apos;s nearly 100 acres—which includes sports bars, the historic race track, an Italian restaurant, bowling alleys, banquet spaces, private lounges, barns, multipurpose rooms, kitchens, stages and more—have attracted a diverse range of projects," Duffy said. Located within the NYC Film Zone (not more than 30 miles from Columbus Circle), the property has long been very attractive to scouts and producers. Also a plus, ECC has enough parking to accommodate 5,000 cars. "Parking is never a problem here,"Ms. Duffy adds. The diversity of ECC&apos;s spaces make it a one-stop-shop for filming. Recent film shoots include Showtime&apos;s Billions (2016), Hulu&apos;s The Path (2016), Sneaky Pete by Topanga Productions (2015), Unforgettable by Woodridge Productions/Sony Pictures (2015), Mysteries of Laura (2014) by Warner Bros., Lionsgate&apos;s Girl Most Likely (2012), and USA Network&apos;s Royal Pains (2011). Essie Nail Polish also filmed their anniversary commercial and Instagram videos onsite. ECC offers all types of catering services, and the staff is familiar with the demands of the filming industry and can usually accommodate special requests. Its generous parking lots are also a great space for holding equipment trailers and/or talent trailers, parking etc. 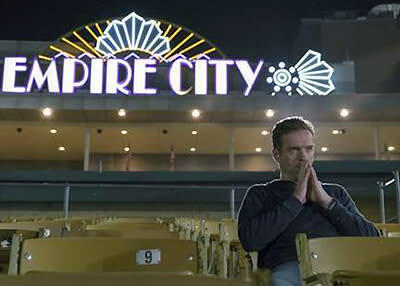 When "Billions" requested a horse and driver for one of the scenes, an actual horse and driver that races at Yonkers Raceway was featured in the show. While shooting "Fast & Furious," the stunt doubles used Empire City&apos;s parking lot to practice the driving sequence for the scene shot in Times Square in the movie. Aaron Paul, (Breaking Bad) recently shot for the series, "The Path," at ECC at one of its slot machines and actually won $300 during the scene. In addition to the cast of shows filmed at ECC, many celebrities can also be spotted enjoying the facilities. Celebrity visitors have included Harry Connick Jr., Bethenny Frankel, Hannah Davis Jeter, Willie Mays, Julius Erving, Allen Iverson, Don Zimmer, Mickey Rivers, Mike Torrez, Orlando Hernandez, Cullen Jenkins & Mike Patterson former New York Giants, lala Anthony, Paula Dean.